Financing with bad credit doesn’t have to be difficult, customers just need to understand what it takes to get a bad credit loan. Whenever you apply for a loan lenders look at the overall risk that the loan carries. There are a lot of factors that help lenders decide what their risk is; how long you have been at your current job, how long you have lived at your current residence, and your credit report. If you are a customer that has had some credit issues then you can do things to reduce the lenders risk. One of the best ways to reduce the lenders risk on a bad credit loan is to put cash down. That minimizes any potential loss for the lender and helps you get a lower monthly payment. Low monthly payments help you keep money in your own pocket and lenders know that a lower monthly payment is easier to pay. 10 to 20 percent is the typical down payment lenders are looking for when they are giving a bad credit loan. If you have recently filed a Chapter 7 Bankruptcy you can also make a purchase. Chapter 7 Bankruptcy is a method of repairing your credit. You can either wait until you Chapter 7 Bankruptcy has been discharged or you can purchase a car before the discharge of your Chapter 7 Bankruptcy as soon as you receive the letter from the Meeting of the Creditors. Either way, do not let your Chapter 7 Bankruptcy stop you from getting to work. You can still purchase a vehicle. At SMH Auto Sales we have lenders that specifically give auto loans to customers that have filed Chapter 7 Bankruptcy! Once you purchase your vehicle from SMH Auto Sales and your Chapter 7 Bankruptcy gets discharged you can sit back and watch your credit score rise while you make on time payments on your vehicle! 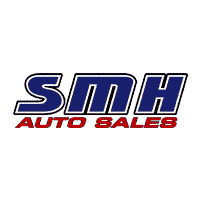 At SMH Auto Sales we understand that some times things in life happen that lead to bad credit or Bankruptcy, we want our customers to know and understand that we are here for you and can help get you back on the path to good credit. Rebuilding your credit can be a process but you don’t have to go through it without a quality vehicle. Rebuild your credit and have reliable transportation. Please give us a call if you have any questions or if you need any help with your next purchase!